Pot covers: choose a 35cm pot cover to give a good fit over the pot. 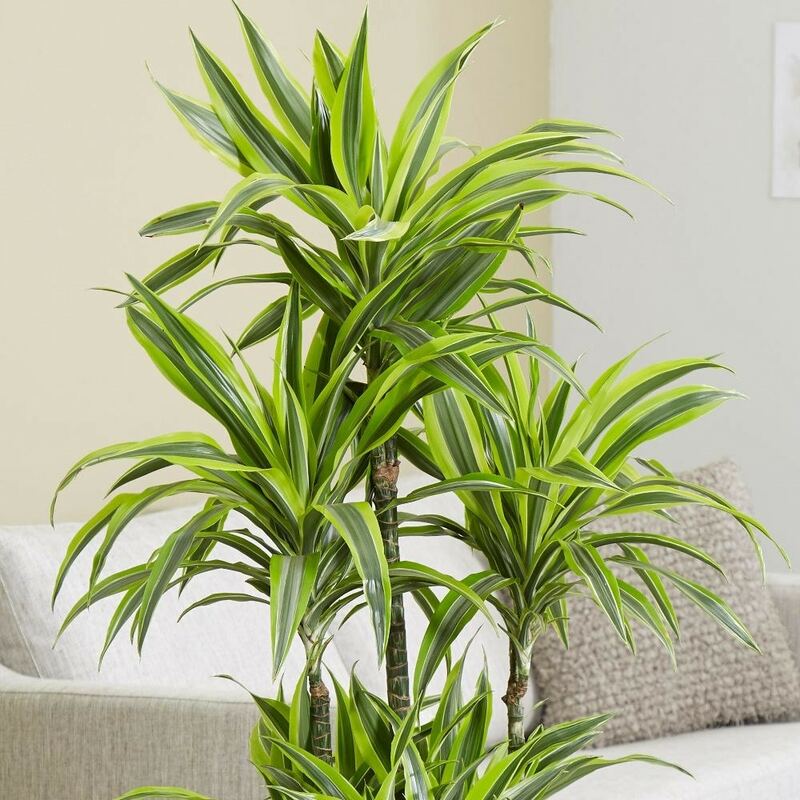 This is an undemanding houseplant, with colourful foliage that is a mixture of green, cream and lime stripes. As it grows, it forms a tree-like stem with the foliage on top, and as it matures it will usually start to form sideshoots. 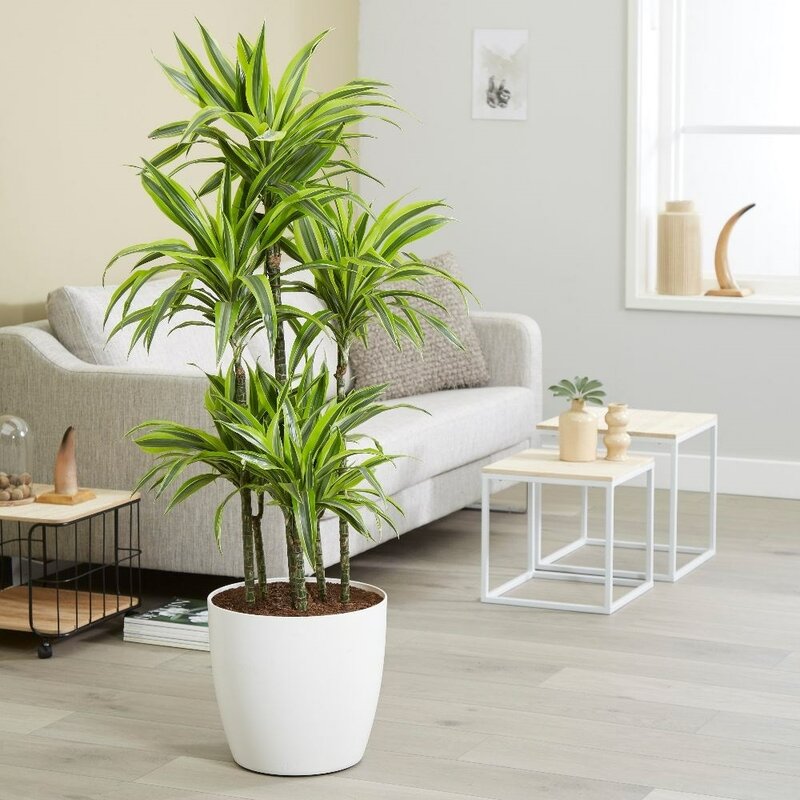 A good choice if you are looking for something that will eventually get quite tall, without taking up too much floorspace. Please note that the pot in the photograph is not supplied with the plant (which is sent out in a black plastic pot). They do however make excellent potted plants, and if you wish to pot yours up, we do have a wide range of pots on our website to choose from.